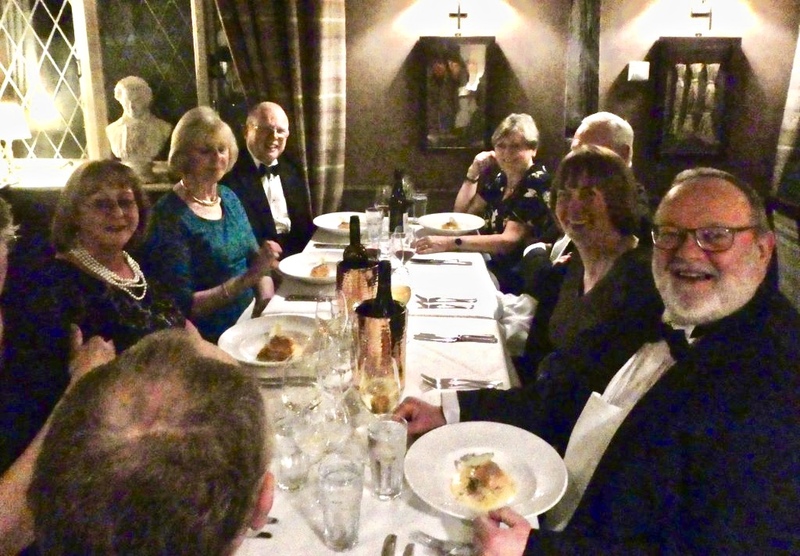 Nineteen members attended the Annual Dinner and Prizegiving on Saturday 2nd Feruary at The Chequers in Weston Turville – there was supposed to be 21, but unfortunately Mike Sarjeant was not well, so he and Vera were unable to come. Get well soon, Mike. 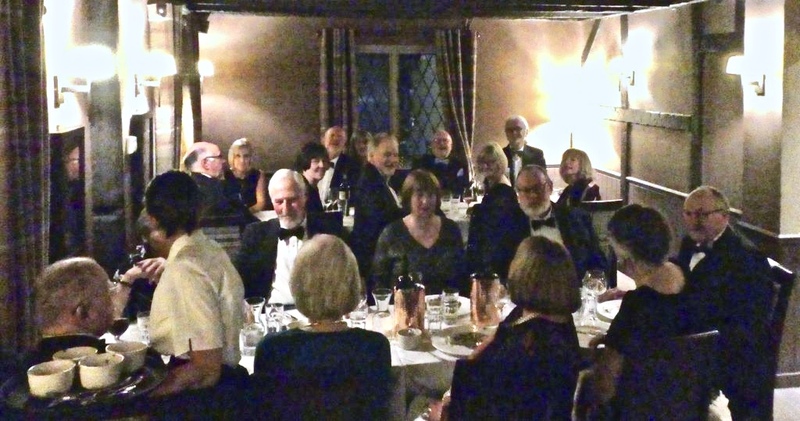 This was the first time we had used The Chequers for the occasion, and they did us proud. We had a partioned-off section of the restaurant, which we shared with two other couples, who looked upon our antics ( we were actually very well behaved!) with favour. The meal, pre-selected from a special menu, was excellent and the company lively, so everyone enjoyed themselves. And The Roger Skinner Trophy (a handsome Claret jug) was awarded to Adrian Bennett who had amassed the most qualifying points during the year. As is now customary, Adrian filled the jug with port, and a glass was poured for everyone present (including the remaining long-suffering couple who shared the room with us and who were attempting to enjoy a quiet romantic meal) and we all toasted our dear absent friend and colleague Roger Skinner. 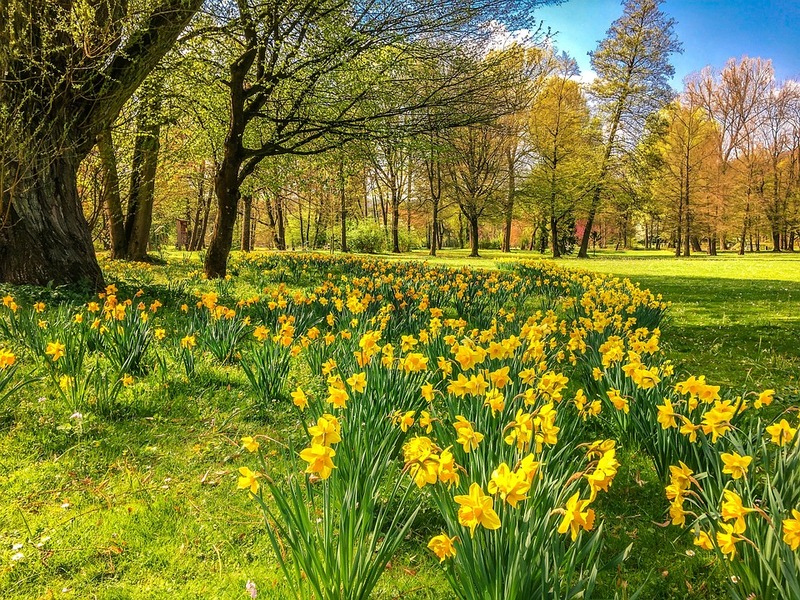 A most enjoyable evening, and a most appropriate start to the 2019 season. 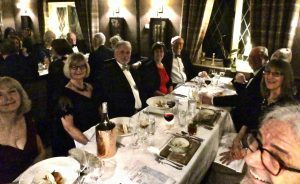 No Replies to "Annual Dinner and Prizegiving 2019"